In 1993, the Florida Legislature promulgated special procedures instructing the then Board of Regents to prepare and adopt campus master plans for each institution within the State University System. The need for these procedures was based upon the recognition that, while universities contribute substantially to their host communities in the areas of education, research, culture, and commerce, at the same time campus activities create significant demands on community services, infrastructure, and natural resources. In response to the Legislature's actions, the Florida Board of Regents, which oversaw the operation of the State University System at that time, prepared guidelines to assist the universities in the development of campus master plans that complied with the statutory requirements. The resulting campus master plans clearly defined the physical growth projected by the institutions, ensured governmental coordination between the universities and the host communities, and provided a basis upon which to appropriately assess and mitigate the impacts of future growth and development of each entity upon the other. Since the passage of the original legislation, there have been a number of changes to the organizational structure that oversees higher education in the State of Florida. These changes have resulted in the appointment of individual boards of trustees at each institution, the reorganization of the Florida Department of Education, including the replacement of the former Board of Regents with a new Board of Governors structure, and amendments to the planning legislation. Each of these changes has impacted the way campus master plans are prepared, reviewed, updated, and adopted. The spirit and objective of the Legislature's original intent however remains unchanged. The adopted Campus Master Plan for Florida State University outlines the University's development plans through the year 2025 for the Main Campus, the Southwest Campus, and the Panama City Campus. The Plan consists of two volumes; "Volume 1 Goals, Objectives, and Policies" contains information about future planning activities. "Volume 2 Supporting Data" contains information about the current conditions on each campus. To assist in the understanding of these elements, the Campus Master Plan contains a variety of statistical tables, charts, and graphic exhibits that identify and define important planning concepts. Fall of 1993- University and the former Board of Regents conduct selection for a consultant for Campus Master Plan culminating in the selection of the planning firm of Pierce, Goodwin, Alexander, and Linville (PGAL) as the University's consultant. July 1994 - University substantially completed work on its Campus Master Plan; copies transmitted to local, state, and regional agencies for review and comment. November 2, 1995 - Campus Master Plan presented to the Board of Regents. Plan was adopted. December 12, 1998 - Campus Development Agreement, which determined the impact of University development on local services and systems, was executed following negotiations between the City of Tallahassee and the Board of Regents and the University. Spring 2000 - Work began on the first update of the Campus Master Plan with selected professional planning consultant, 3D / International. June 2004 - Update of the Campus Master Plan was substantially completed. The first of two public hearings was held. Copies of the draft Plan were transmitted once again to a variety of local, state, and regional agencies. September 2004 - After receipt of comments, Plan modifications (where necessary) were made. Plan prepared for presentation to the University's Board of Trustees. January 14, 2005 - Campus Master Plan adopted by the Florida State University Board of Trustees. June 2005 - Updated Campus Development Agreements with both the City of Tallahassee and the City of Panama City were agreed upon and executed by all parties. (Development agreements extend to December 31, 2010). Spring 2005 - Work began on the next update of the Campus Master Plan with selected professional planning consultant, 3D / International. March 2006 - Update of the Campus Master Plan was substantially completed but the external review process was put on hold pending outcome of Legislative session. September 2006 - Work began on updating the Campus Master Plan with planning consultant, 3D / International. June 2007 - Update of the Campus Master Plan was substantially completed and the external review process was initiated. July 27, 2007 - The first of two public hearings was held. Copies of the draft Plan were transmitted to local, state, and regional agencies. May 20, 2008 - The second public hearing was held after receipt of comments and Plan modifications (where necessary) were made. June 13, 2008 - The Campus Master Plan was adopted by the Florida State University Board of Trustees. February 6, 2009 - Campus Development Agreement with the City of Tallahassee executed. Agreement requires certain revisions to the Campus Master Plan. With prior Board of Trustees approval, work to revise the Plan begins. September 1, 2009 - Revisions to Campus Master Plan complete. Revised copies of Plan distributed to local, state, and regional agencies for their records. Spring 2010 - Work began on minor amendment to the Campus Master Plan. June 2, 2011 - Minor amendment to the Campus Master Plan adopted by the Florida State University Board of Trustees. Discussions begin with the City of Tallahassee to amend the Campus Development Agreement. April 11, 2012 - Amended Campus Development Agreement with the City of Tallahassee. Fall 2014 - Work began on minor amendment to the Capital Master Plan. June 26, 2015 - Minor amendment to the Campus Master Plan adopted by the Florida State University Board of Trustees. June 10, 2016 - Minor amendment to the Campus Master Plan adopted by the Florida State University Board of Trustees. 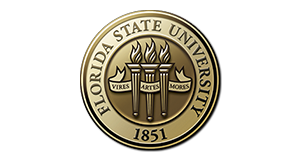 January 18, 2018 - Minor amendment to Campus Master Plan adopted by Florida State University Board of Trustees. All questions and comments about the Florida State University Campus Master Plan should be directed to Mark Bertolami, R.A., by e-mail or by calling (850) 644-2843.